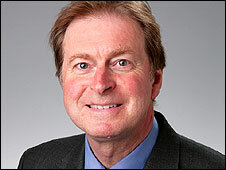 Labour MP Tony Wright has said he will be standing down at the next election for health reasons. Dr Wright, a Member of Parliament since 1992, has been undergoing treatment for leukaemia and kidney disease. "The uncertainties about my future health make it sensible for me to decide now to stand down from the Commons at the next election," he said. The 60-year-old, a father-of-three, is chairman of the influential Commons public administration committee. Dr Wright was first elected to the Cannock and Burntwood seat in 1992, and became the MP for the newly created Cannock Chase constituency in 1997. He told the Express & Star newspaper in Wolverhampton it had been "a great privilege to represent the people of Cannock Chase". When Labour came to power, Dr Wright became parliamentary private secretary to Lord Chancellor Lord Irvine, but stepped down after a year to return to the backbenches. He was appointed chairman of the Commons public administration select committee, which is charged with examining the quality and standards of administration within the Civil Service and scrutinises reports of the parliamentary and health ombudsmen. A prolific author, he is a supporter of constitutional reform and a campaigner for strong freedom of information legislation. In 2000 he accused the government of conducting "politics for middle managers".